This frame also sports extensive water cooling options. 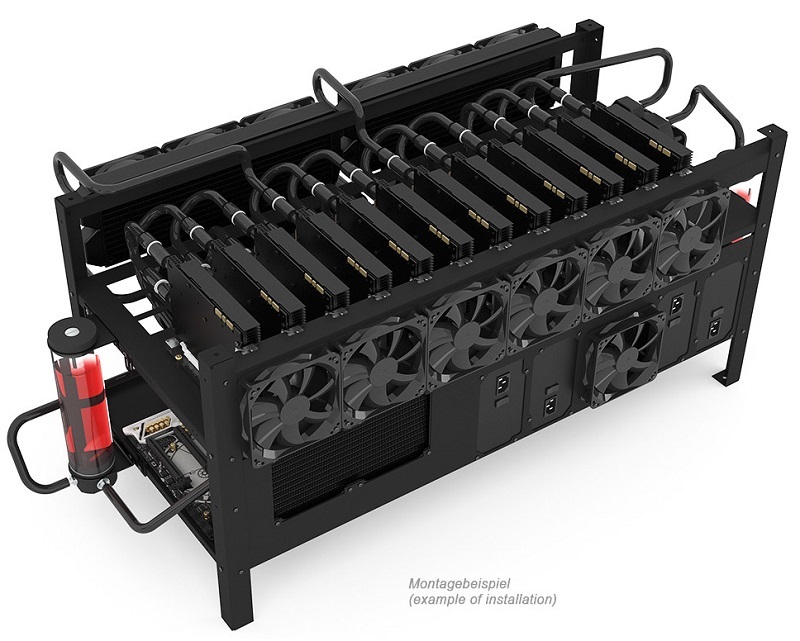 Read more about Alphacool's Mining Rig 12 Open Air Cryptocurrency mining frame. they sell this when mining is not profitable. If mining is anything it is unpredictable, the mining craze has ended and restarted several times now. I don't think that people who are mining will stop. I have few friends who continue. They just don't sell as often as they did when the craze was on. What have we learned from the past year or two? It is always good time to start mining. Just found this on Twitter. Does anyone else think this will look like a mini bunk bed when stacked? Can someone explain why on earth you would WC a mining rig? Surely its just going to hurt ROI and introduce more potential points of failure? You can push the clocks further or more likely to stop the fans are screaming. What I don't get though is that miners currently use frames that are worth pennies, or a stack of shelves which you could probably get 5 for the price of this. Thats what was confusing me too. For the money i'd rather use some cheap shelving and buy another GPU! That was my first thought. Why would you buy something that is not economical just to have it look slightly better? it's a work horse, looks were never on the agenda. Short answer: there's one born every minute.